A variety of popular and classic jazz, sung by our own Okotoks jazz group! 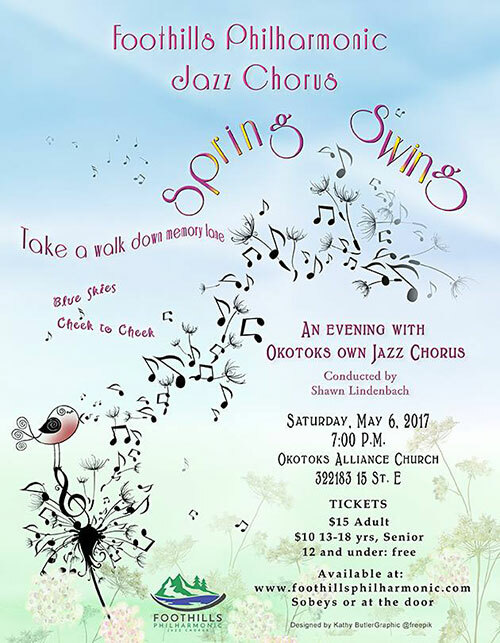 Foothills Philharmonic Society is excited to present to you Spring Swing. This season we will be performing a variety of popular and classic jazz music, including Duke Ellington, Irving Berlin, the Chordettes, and the Beatles. 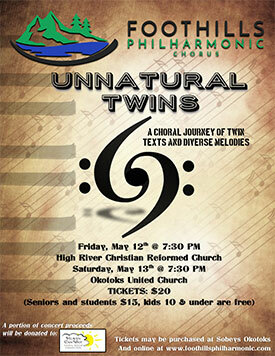 The concert will feature the Foothills Philharmonic Vocal Jazz, Women's Vocal Jazz, as well as several solo and small groups. There is something for everyone, and the lively music is sure to get you in the spirit of the spring season! Tickets available at the door, or online through Brown Paper Tickets.